There’s no denying it: in the world of homemade bread, anything with “pull apart” attached to it automatically makes it way better. I don’t know if it’s the bread nestled together, looking all cute, or if it’s just the fact that pull apart breads always taste way better, but you just can’t lose if you take something and then make a pull-apart version. Case in point: Irish Soda Pull-Apart Bread. Per usual, Martha Stewart is a genius and brings us this recipe. 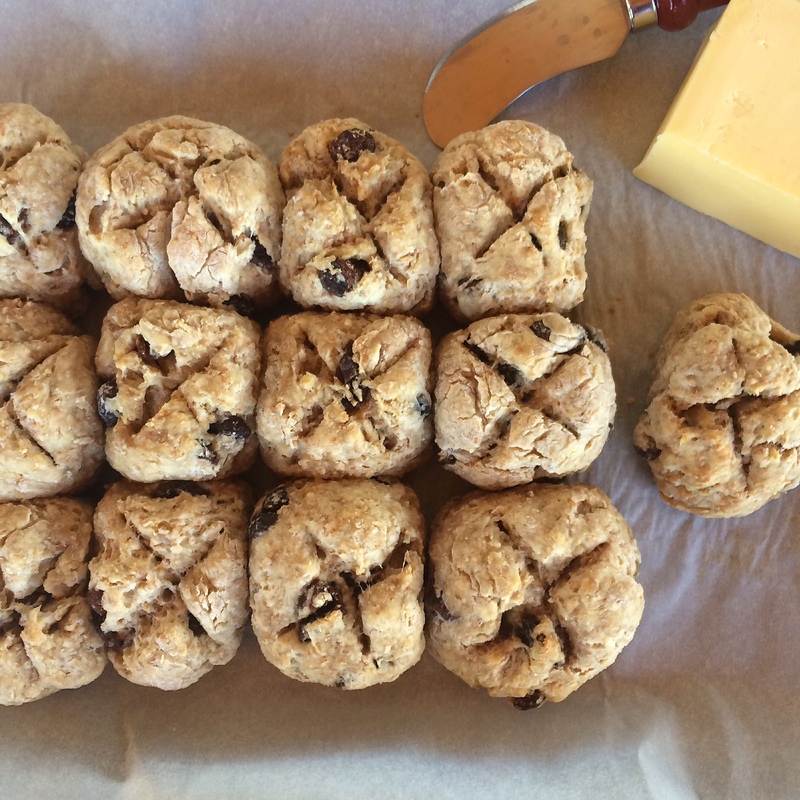 If you were to make 1 large loaf instead of the pull-apart version, it would still be good, but I think it’s hard to top soda bread in pull-apart form. The original recipe called for caraway, and having a husband who hates caraway, I left it out. 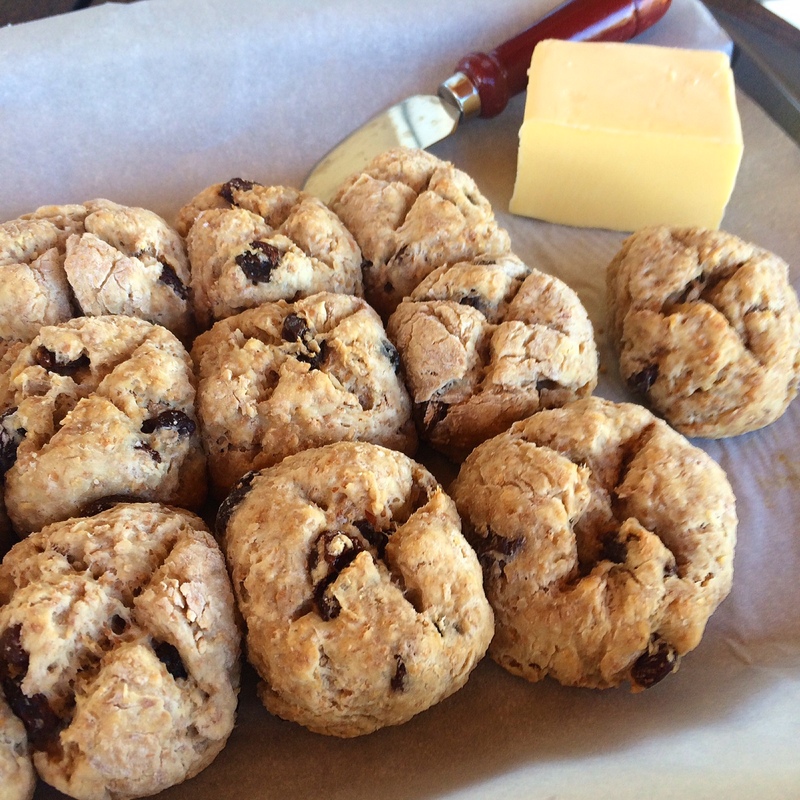 Last year I made soda bread and left out the currants, and that was a big mistake. These rolls felt complete with the addition of raisins, but I think next time I may like currants or dried cranberries better. Preheat oven to 350 degrees. Line a baking sheet with parchment. Mix half and half and vinegar in a small bowl, and let stand until thickened, about 5 minutes. Whisk together flour, salt, baking powder, and baking soda in a large bowl. 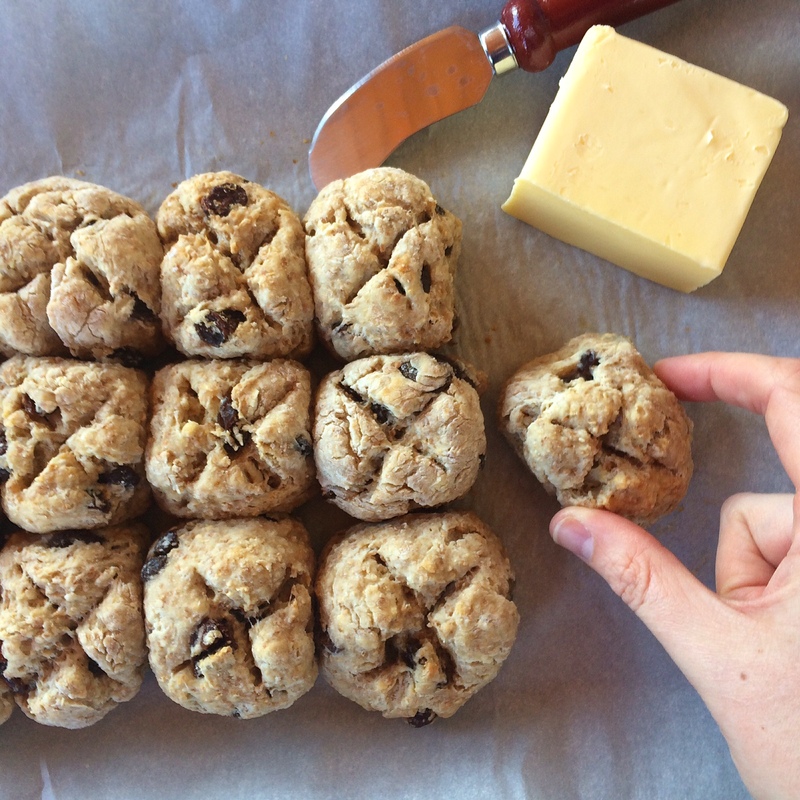 Cut in unsalted butter with a pastry cutter or 2 knives until mixture resembles coarse meal. Add bran and raisins; stir to distribute. Pour milk mixture into flour mixture; stir until dough just holds together but is still sticky. Turn dough onto a lightly floured surface. Divide dough into 16 equal pieces and, with floured hands, roll each into a ball. Transfer the balls to a parchment-lined baking sheet in 4 rows of 4, making sure each dough ball is touching the ones around it. With the tip of a paring knife, cut a 1/4-inch-deep X on each ball. Bake, rotating halfway through, until loaf is golden brown and a tester inserted in the center comes out clean, about 35 minutes. Let cool on a wire rack. 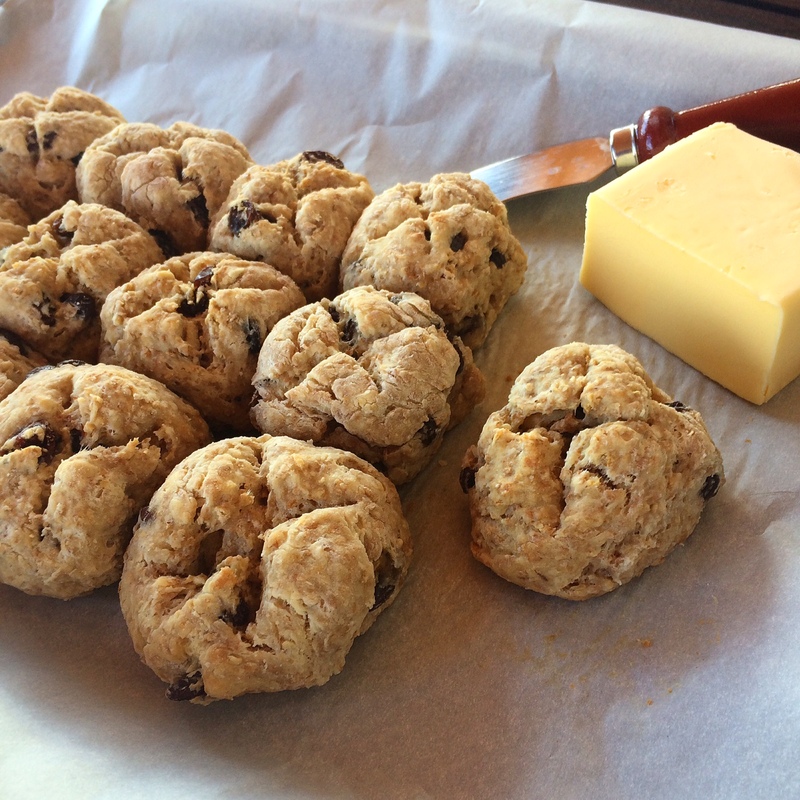 Soda bread is best eaten the day it is made; serve with salted butter.